Tap Water reverse osmosis membranes Tap Water reverse osmosis membranes are for water with a TDS below 2,000 ppm. Within the tap water membranes there are standard and low energy membranes. Newer membrane technology allows high rejection at lower pressures. Sometimes with cold water we run low energy membranes at 180-200 psi to compensate for the loss of reverse osmosis water production due to cold water temperatures. Brackish water reverse osmosis membranes are similar to the tap water RO membranes and usually you can use brackish water membranes for tap water reverse osmosis applications. Brackish water membranes have a fiberglass outer wrap instead of tape to be able to withstand higher operating pressures. Brackish water membranes also often have a bigger spacer between each membrane leaf to allow for more cross flow along the membrane surface. Sea Water Reverse Osmosis membranes cannot be used on tap or brackish water applications. Sea water RO membranes operate at much higher pressures, anywhere from 650-1100 psi in order to overcome the osmotic pressure of sea water. A rule of thumb is each 100 ppm of TDS (total dissolved mineral content) resuced the pressure across the membrane by 1 psi. Seawater averages about 35,000 ppm so it takes more than 350 psi just to overcome backpressure caused by the salinity. A competitive range of pure water reverse osmosis elements for household, commercial and industrial spiral wound elements. Filmtec™ reverse osmosis (RO) and nanofiltration (NF) elements are products available from Dow Liquid Separations, the globally recognized leader in separations technologies and solutions for industrial, municipal, commercial and consumer water treatment applications. FILMTEC™ reverse osmosis water treatment elements are fabricated by FilmTec Corporation in an ISO 9002 certified manufacturing facility using the industry’s most advanced precision manufacturing processes to ensure the highest product quality and performance. These reverse osmosis membrane elements offer high rejection of dissolved solids and organics and operate very efficiently at lower pressures. 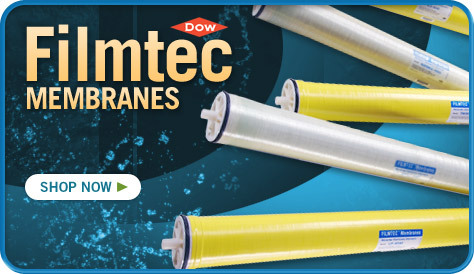 Dow Filmtec™ membrane elements also provide excellent structural stability and are more productive than other elements. As the industry’s leading RO and NF elements, Filmtec™ membrane elements have an unsurpassed track record of consistent, reliable and long-lasting performance. Hydranautics Research and Development Utilizing two R & D centers in the U.S. and Japan, Hydranautics consistent focus on technology continues to produce the most innovative and effective membrane products for the water treatment industry. ISO 9001:2000 certified Quality Management System This demonstrates Hydranautics commitment to quality and customer satisfaction by achieving consistency and improving internal processes. 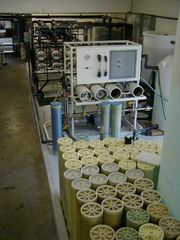 Four Manufacturing Facilities Hydranautics has manufacturing locations in the U.S., Japan, China, and Italy. These four facilities, in addition to our network of offices and warehouses spanning the globe, provide 24-hour technical and sales support with efficient and timely response to customer orders and requests. Highest Performance Products Hydranautics ongoing commitment to the water treatment industry is exemplified by continuously pushing the envelope on membrane performance. Replacing your commercial reverse osomsis membranes can be costly An often overlooked alternative is cleaning your existing membranes. Big Brand Water Filter has the capability to effectively clean both 4" and 8" diameter RO membranes in our facility. Each membrane is pre and post tested to ensure cleaning effectiveness. They are then returned to the customer, packaged in new boxes and bags. This service is valuable for those customers who do not have cleaning equipment on site, do not have adequate equipment, are subject to severe discharge restrictions, do not have the personnel or time to clean, or who simply prefer the convenience of having membranes cleaned off-site. Big Brand Water freshwater membrane vessels are made from only high quality FRP (fibreglass reinforced plastic) for the body, and steel reinforced end-caps. 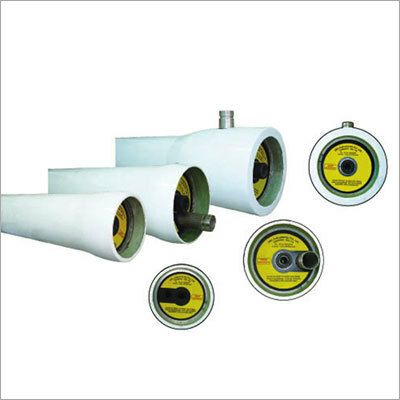 These housings are designed for most freshwater applications.